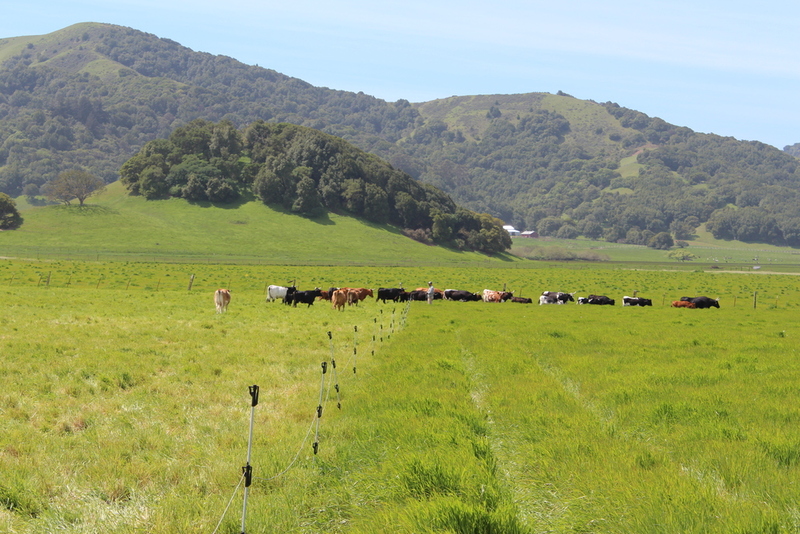 We use best management practices, including rotational grazing, organic and biodynamic methods, drip irrigation, and other water conservation techniques. We do not spray or use any chemical fertilizers or pesticides. Instead we choose to focus on creating a balanced farm ecosystem that promotes healthy plants and animals and prevents disease. We work to maintain and improve our soils in the vegetable fields by planting cover crops, rotating our crops and fields, and by adding compost to the fields. We rotate our animals through the harvested crop fields, to glean extra produce and insects, add fertility, and manage weeds. 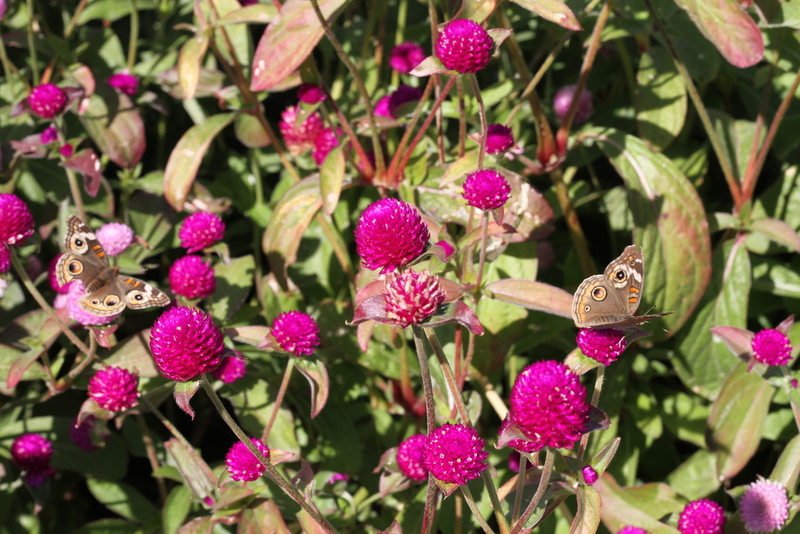 We also plant pollinator rows of flowers within the vegetable fields to attract beneficial insects. What is asked of us as land stewards through biodynamics is that we continually hone our observational abilities so that we may better know what is needed for the farm to come into balance. We do this in Three main ways. The First is the work we must do socially to prepare the soils within our community those who carry out the active farm work and all of us who realize the benefits of that work through our food. This we do by coming together at certain times throughout the year to understand the needs of the farm and the people. At times we as active farmers and crew come together to strengthen our bonds. At other times it may be with our core group of CSA members and lastly the community as a whole gathers once a year to again commit ourselves to this place and all of its abundance. We recognize that the earth has an inherent set of guiding principles that keep all of life healthy, vital and in balance. Biodynamic agriculture utilizes these natural guidelines in working with all of the life cycles on the farm in order to optimize the quality of existence for all beings. We have found that biodynamic practices produce vibrant delicious food, while deepening our connection to the land. Using Biodynamic practices, we strive to create closed loop on the farm. One of our goals is to produce most of our own compost, using home grown straw and our manure. During times of inclement weather, usually heavy rains or high heat, we bring the cows into a straw packed barn for protection and to collect their manure. Once a year, we clean out the straw and manure pack to make the compost that we will use to maintain the fertility in our vegetable fields. In the winter, the egg layer house is parked in a permanent yard that has a thick straw pack to collect the manure. In the spring, we windrow the straw pack and compost it. The sacrifice winter chicken yard then becomes the compost yard for the year. We provide all of our animals with fresh grass, water, and food daily. We have focused on breeds that are resilient and that succeed on pasture, and we continue to refine these breeds over time as we raise our own replacement stock. When we interact with the animals, we practice low stress animal handling, focusing on keeping the animals and ourselves calm as we work. Our animals are an integral part of the farm ecosystem, providing fertility, pest management, and helping to improve this land. Their meat is a byproduct of their work that we are thankful to enjoy. We rotate the cows to fresh pasture daily. By doing this, not only do we have better animal health, but we are witnessing the growth of more native perennial grasses, and hoping to create less erosion and to hold more water in our soils. By allowing the pastures to rest and for the plants to regrow and flower, we also provide habitat for pollinators and other wildlife. The chicken and turkeys are rotated through the pastures behind the cows, incorporating the manure and adding more fertility to the fields as well. We are fortunate to have several springs and ponds on the property. However we are conscious of the limits of our water sources and chose the amount of irrigated crops we grow and animals we raise accordingly. To further protect our water supply, we use drip irrigation and dry farm the crops that we can. While the ranch already is host to a wide range of birds and other wildlife, we hope to increase the multitude of plant and animal life by planting hedgerows and trees, as well as increasing the range of species and crops that we raise.